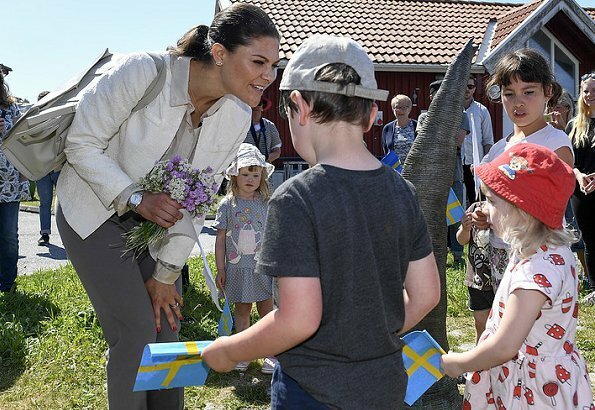 The tenth hiking of Crown Princess Victoria in the landscape of Sweden takes place in Bohuslän on May 24, Thursday. 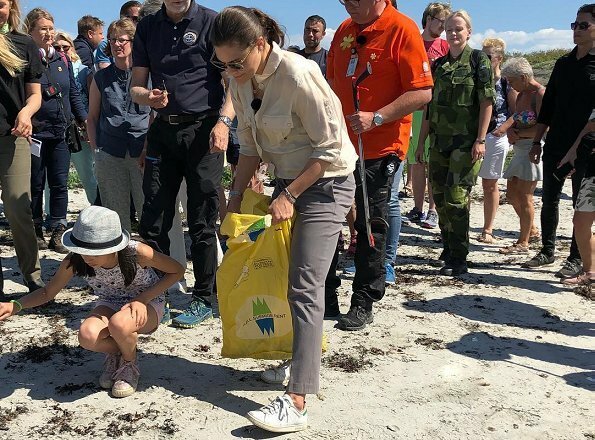 The hiking at a distance of nearly 5km from Nordkoster began with beach cleaning in Basteviken together with school children. 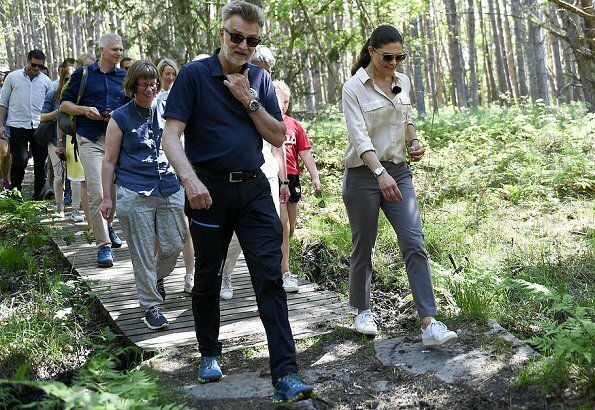 Then the hiking continued in different regions of Nordkoster. 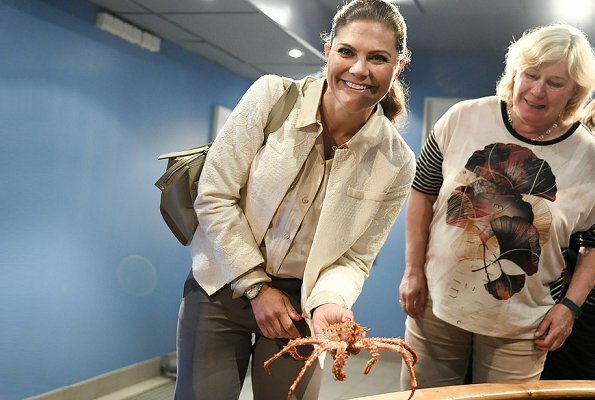 In addition, the Crown Princess attended a seminar on "How can we protect our seas from plastic wastes?" 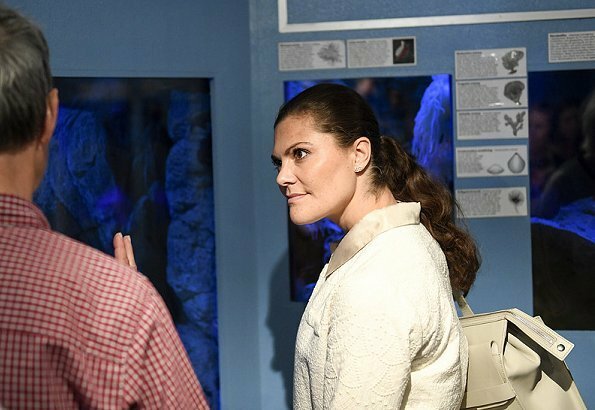 held by Tjärnö Marine Zoological Station of Gothenburg University. Und weiter geht's. Schwedens KP ist wieder unterwegs. Ich mag ihr Outfit, die Slacks, die Sneakers, das Jäckchen. Damit kann man den Strand reinigen und auch einen Vortrag hören. Ich finde diese Aktion/Idee Victorias einfach toll. Eine Kronprinzessin der Herzen! A new fun day,clean the beach comfy cloth and lots of people,just like she like it. Good for you Victoria. Victoria is always so interested and engaged.